What would you do with a whooping kes. 8 Million. I know most of you will buy aristocratic and posh cars or buy plots or houses. I mean, that’s enough money to buy a house and a car in Kenya but someone decide to spend it on a motorcycle. 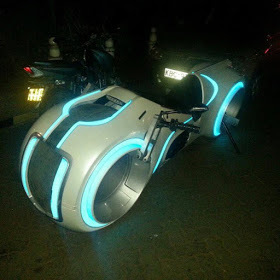 If you think you had the coolest bike in Nairobi then you are absolutely wrong. 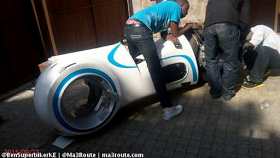 A Tron Light Cycle, an 8feet long, 23-inches wide and 474 blbs machine was spotted in Nairobi and it’s rumored to approximately cost kes. 8 Million.